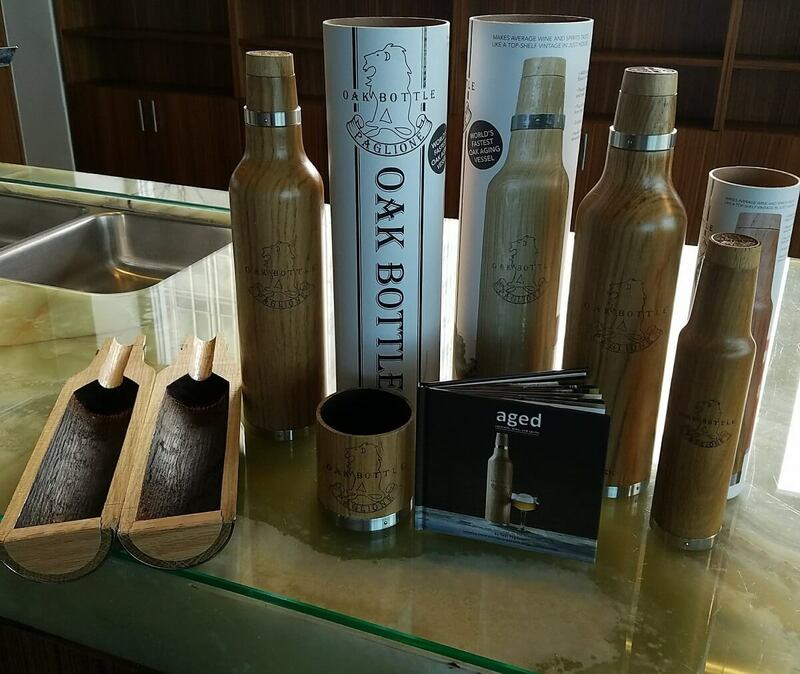 A Chat With The Inventor of The Oak Bottle, "The World's Fastest Aging Vessel"
The premise is simple: the Oak Bottle accelerates the oak aging process, without the use of a big ol’ barrel. The bottle, coming in 750ml, 355ml and 150ml sizes, allows you to infuse into your store-bought or homemade beer, cocktail, spirit or wine the aromas, caramel notes, and a silkier flavor that comes from barrel-aging. It allows you to do it all very quickly, right in the comfort of your home. 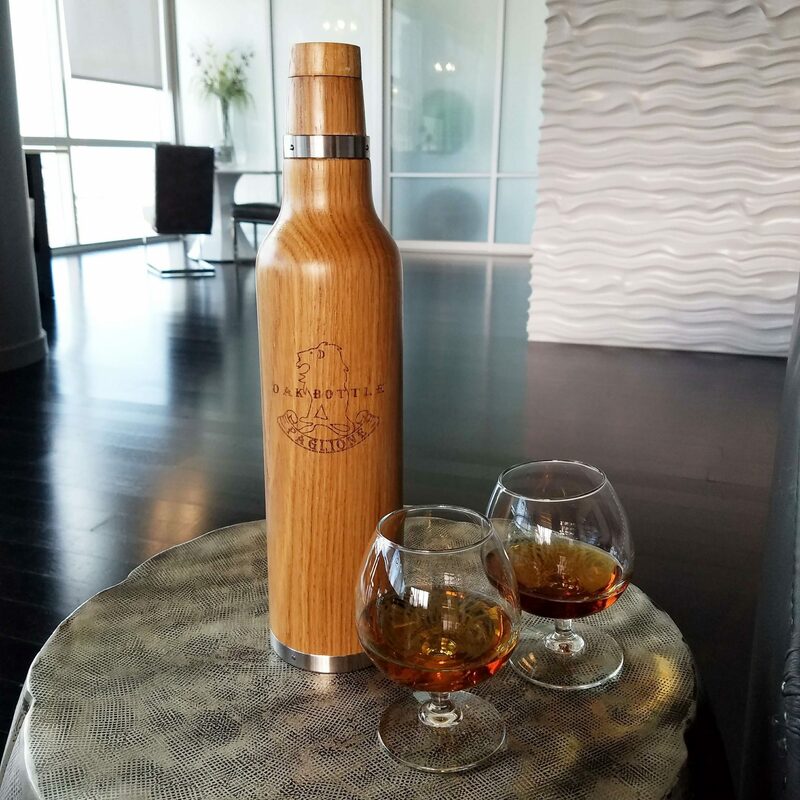 The oak currently used is American white oak, which is charred inside to what Joel describes as a “medium level.” As the company and product gets further along, they also plan to offer French oak options and additional toasting levels. If You Ask Too Many Questions In A Vineyard, Is It Called, “Wining”? Not unlike the composition of his latest invention, when it came to his family, certain things were ingrained. “Of course just being Italian, wine is a huge thing in the culture itself anyways,” explains Joel. “When my uncle was diagnosed with cancer a few years ago he decided to pursue his passion. He opened up a winery in our area in Canada in Harrow. “I was walking through the winery one night,” Joel continued. “I said to my Uncle Santino: ‘Uncle Santino, why do we have so many small barrels? Why don’t we put all the wine in one big barrel? It would save a lot of time processing the wine from the vats all the way to all these barrels.’ He said, ‘Well, what you don’t understand Joel is,’ and he put his hand on my shoulder, “the smaller the barrel, the faster the oak infusion.’” Fewer things have inspired more than our innumerable conversations over and about wine. According to Joel, each bottle will be good for about 50 to 60 uses before it starts losing its oaking ability. While I was with Joel I had the opportunity to taste some whiskey that had been aged in the Oak Bottle. There was a discernible and delectable difference with regard to aroma, mouthfeel and taste. I would describe the aged version as having less alcohol “burn” with a “rounder” more “full bodied” taste. Traditional aging takes a long time, and that results in stock issues for whiskey suppliers, not to mention cost issues for whiskey buyers. Which is why there are so many Oak Bottle competitors on the market, all attempting to play with surface area; from handfuls of oak chips or oak-chip “tea bags” and spirals of oak, to miniature barrels and glass vessels with oak bottoms. There is no shortage of players trying different ways to solve the same problem, including one company that has designed a pharmaceutical-grade reactor to do the deed, claiming to be able to make 20-year-old rum in less than a week. Greeting from California @eastlondonliquorcompany wishing you could smell the rum in the air now #lostspiritsdistillery #rum68 #lostspiritsrum as we bottle these up! In my humble opinion, with the luxury of having spoken directly to Joel, the Oak Bottle’s position in the market will likely thrive through a noticeably deep understanding of the consumer. While people—particularly Millennials—may be buying “a bottle,” it’s the experience and the ability to create and customize that is truly appealing. Wrap that in exceptional aesthetics, seamless storage and transport, savvy marketing, and the comfort and assurance of extreme consumer-centricity (you can even add your own laser-engraved tattoo to the front of a bottle), this product is well-poised to be a winner. 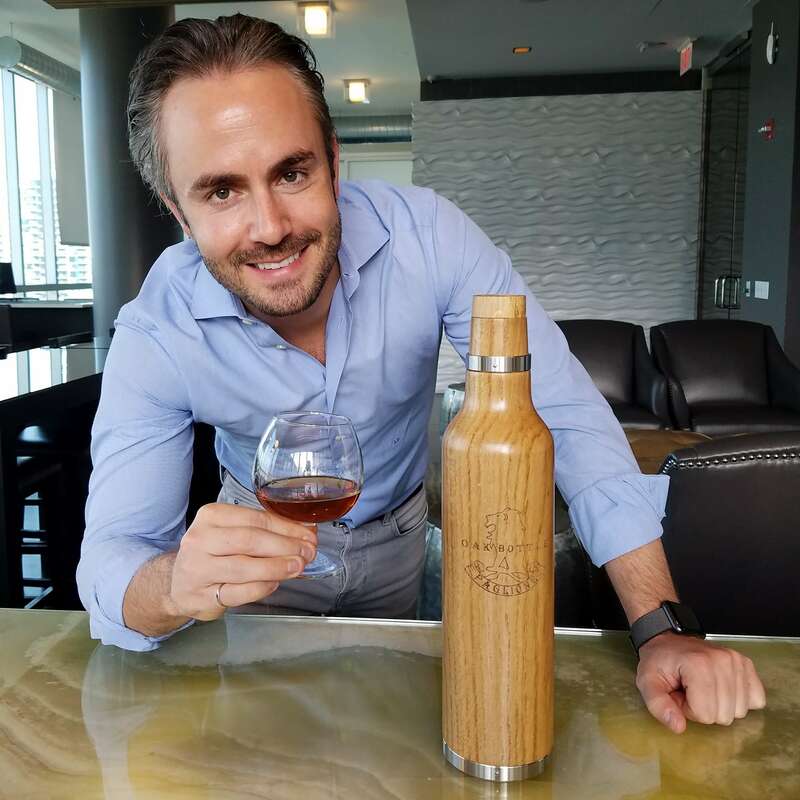 921 backers pledged $110,926 to help bring the Oak Bottle project to life with a Kickstarter campaign that ended in January this year. 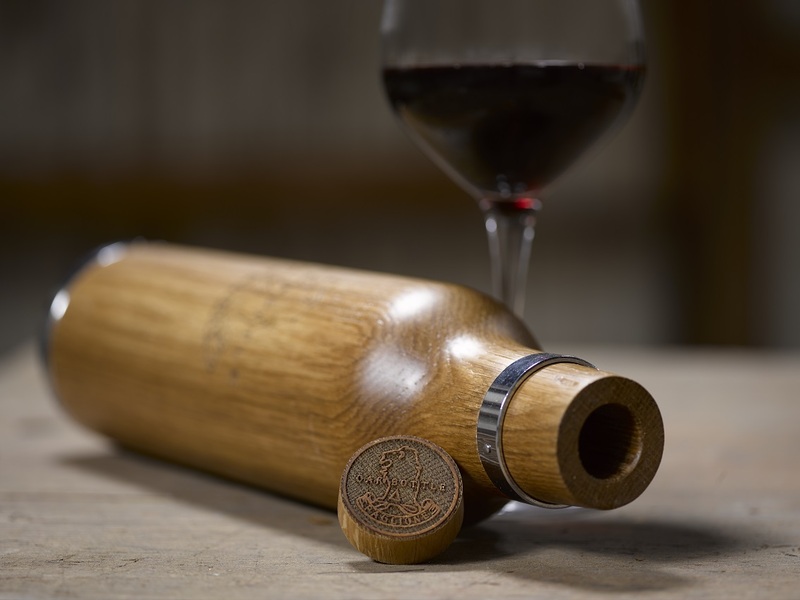 The Oak Bottle is now available on the Oak Bottle website at $79.95, $59.95, $39.95 for the standard Oak Bottle, the Oak Bottle Mini and the Oak Tumbler respectively. There are also bottles for $89.95 that offer specific flavors, like Chocolate, Citrus, Maple and Vanilla. Aside from any custom engravings you may choose, as far as I’m concerned, this thing has “Holiday Gift” written all over it. Not to mention delicious all inside of it. Enjoy the highlights of my chat with Joel in this video! I would go for the large bottle at that price. What a great way to mix things up behind the bar once in a while! A terrific way to mix things up! I always thought that “aged in an oak barrel for 2 years” was a marketing ploy. Maybe that is just how long they had to age it for the entire barrel to get flavored? Yes, that is correct. As mentioned in the article, it is the relationship of surface area to volume that is important. I could see this turning things around for the “aged in a barrel” industry. Great way to think outside of the box, or barrel, in this case! Wow! Thinking about the size of the vessel, it does make sense in my mind that it would be faster for the amount of liquid in said vessel. That is a good thing because most consumers are going to have to be sold on that process before buying into the fact that it actually works. Proof of the pudding for me was the tasting. Noticeably nicer!